The aerospace industry continues to see increased demand for new aircraft worldwide. Technology, maintenance, and production are all seeing pressure to excel in their sectors. White Systems has the expertise to increase productivity, reduce workplace injury and save a tremendous amount of valuable space in any of these facilities. Companies such as Boeing, United Airlines, Airbus, US Air Force, and many more are recognizing the benefits of utilizing technologies provided by White Systems. Our products can reclaim up to 90% of floor space from conventional storage systems allowing more productive use of the area and using all vertical height available to reduce wasted space in the facility. With sensitive aircraft parts, it is important to create a clean environment for storage. White’s Silo2 units are fully enclosed protecting components from the harsh warehouse environment. White Systems can provide a full suite of inventory management software. Systems can realize simplicity in pulling tray the parts are stored in, or realize full integration with the host’s ERP or inventory management system allowing the highest security of component tracking. When using standard shelving very little of the overall storage cube is utilized, sometimes resulting in as little as 30% cube utilization. With the Silo2 this can be increased significantly. The storage technology automatically allows each tray to measure the height of the articles stored and allocating it to the proper storage location. Much higher storage density is accomplished increasing density up to 70-80% when storing those like height items on the same trays. Horizontal carousels can become one of the highest density, automated storage devices in your operation. White Systems has the ability to build a single carousel bin 20’ high. 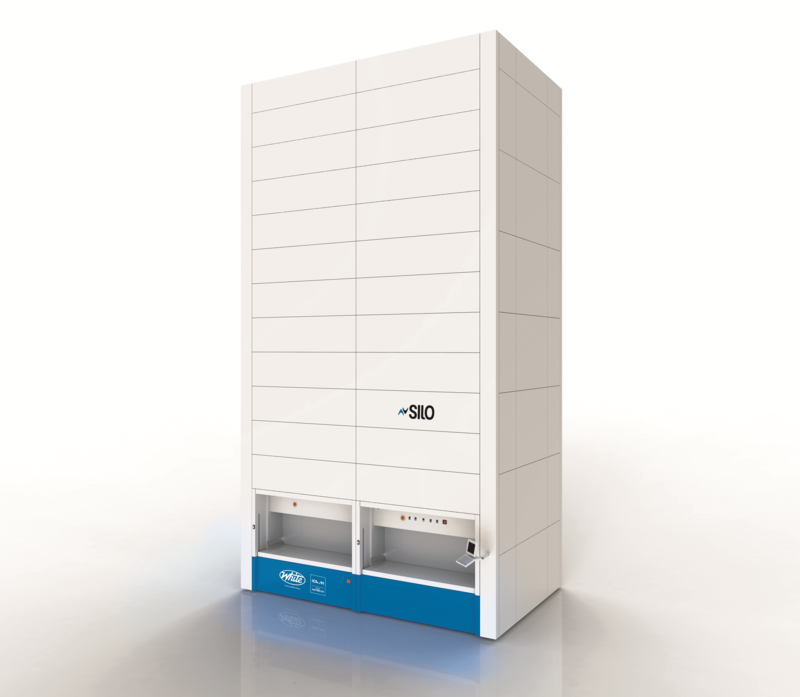 This allows thousands of cubic feet of parts storage in a very small footprint, also becoming one of the most affordable storage technologies still bringing all parts to the operator. 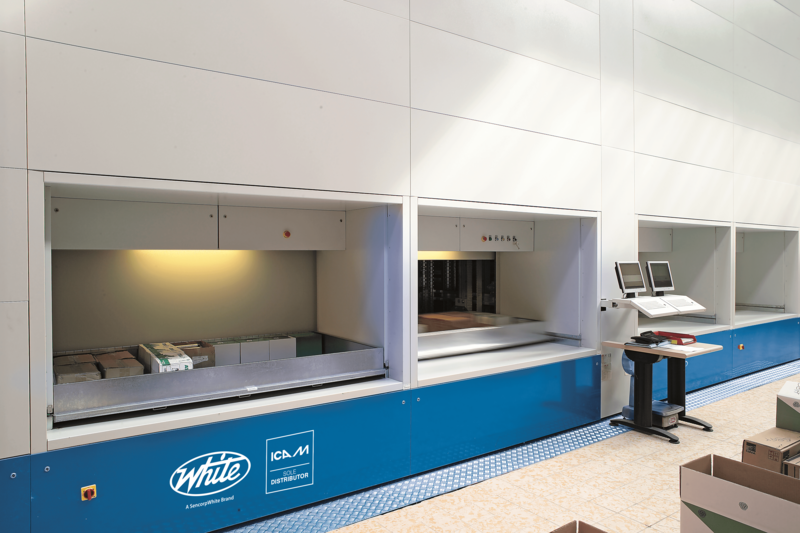 All of the technologies provided by White Systems brings the products to the operator. This allows for much higher personnel productivity saving time and money. Many times a realization of 70% increase in productivity may be accomplished as the search and travel time is reduced significantly. Silo2 by White Systems delivers product to personnel at the waist-high “golden zone”. Workplace injury is reduced as bending and reaching is eliminated during the picking process.